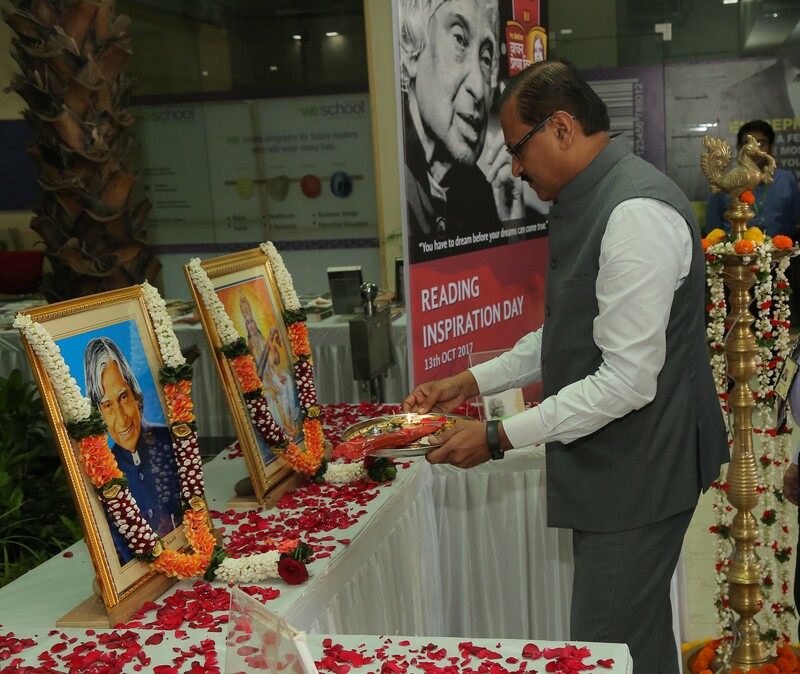 WeSchool celebrated Birth Anniversary of Dr. A.P.J. Abdul Kalam on 13th October 2017 as Vachan Prerna Din. On this occasion, a Book Exhibition was held for the WeSchool fraternity within the campus. The collection varied from biographies, innovation, leadership, analytics, literature etc. A special collection on A P J Abdul Kalam was highlighted. The aim was to promote the reading habit among the students and faculty. The event was inaugurated by the Group Director Prof Dr. Uday Salunkhe Sir, wherein he addressed the gathering to read and share the knowledge. The event was promoted through various social networking platforms and thus, we received a huge response from students as well as faculty. Two major announcements were made in support of Vachan Prerna Din, firstly, any guest visiting the campus will be honored with a book and not bouquet and secondly, the book will be wrapped in gift paper with WeSchool and Vachan Prerna Din logo.